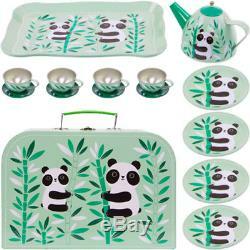 AIKO PANDA PICNIC TEA SET WITH CASE. Case measures 29cmW x 19.5cmH x 9cmD. Metal tea set included - 4 Cups and Saucers - 4 Plates - Teapot and Tray. All packed away in the transportable suitcase so you can take your party on the go! Suitable for age 3+, vintage style. 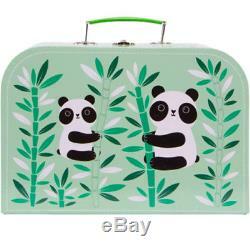 The item "PANDA PICNIC TEA SET / Kids Vintage Toy Case Cup Plate Teapot Tray Birthday Gift" is in sale since Tuesday, September 20, 2016. This item is in the category "Toys & Games\Other Toys & Games". The seller is "petite-rose*" and is located in Leicester.